The Hyderabad CPM national meetings taking place in Hyderabad are hot. Intellectual conflict is taking place between two different political framework conclusions. Karat and Yechuri were split into the party leaders over the issue of political understanding with the Congress. The CPM national maharajas are facing ever more confrontation. In contrast to the past, the House is discussing two political draft resolutions. Former general secretary Prakash Karat has introduced the central committee's decision to work with the party to ensure that the BJP does not have any understanding with the Congress. 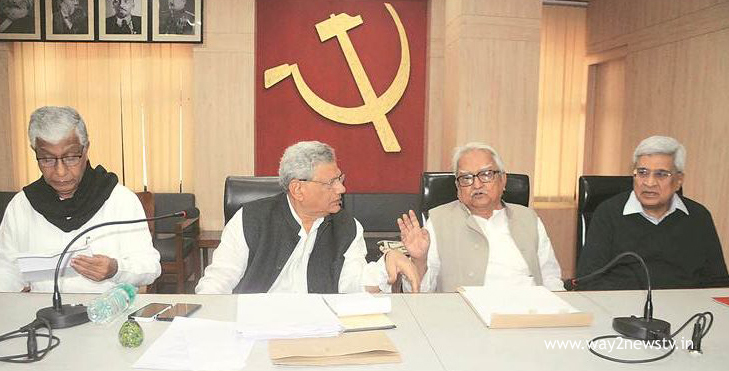 However, the party general secretary Seetharam Yechury has introduced a political framework to fight united struggles with the democratic and secular parties that come together to defeat the BJP. The two representatives were discussing Wednesday and Thursday and announced a final draft. There are no differences in the party ... There are only disagreements on the political line and we will come to the consensus after the talks. The BJP loses the vote. 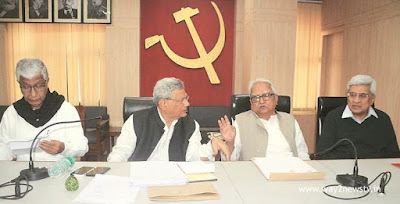 But in the wake of the alliance with the Congress, the process of lobbying between Karat and Sitaram Yechury in the backdrop of a dilemma in the party. Both sides will agree on the proposal to limit the understanding of the movement with the Congress. There are chances that the Mahasabha will have to do with the Congress alliance with the Congress except the alliance. Besides, the party and its affiliates will review the past three years of struggles, mistakes and nursing credentials and guide the party to strengthen the party. The CPM 's masculinities have shown no embarrassment for refusing Supreme Court' s prosecution on the suspicious death of Justice Loya. The Supreme Court has been investigating the verdict on the truth of the Supreme Court's verdict on the Justice bench, as it has a lot of suspicions on Justice Murti. Sitaram Yechury will once again choose to be the chief secretary of the party, but it is a surprise that it is not the responsibility of the other.